We all have hard days - the kind that make us want to give up, retreat inside ourselves, and drown our sorrows in a pint of ice cream. And while we may crave all sorts of things to ease the pain we feel, what our hearts really need is to be filled up with truth. We need to be confident in God's character and his promises. We need to remember that we're loved no matter what. We need to know that we're going to be okay. 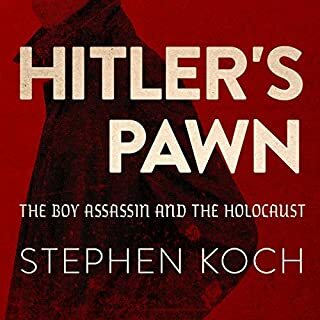 After learning about Nazi persecution of his family, Herschel Grynszpan (pronounced "Greenspan"), an impoverished 17-year-old Jew living in Paris, bought a small handgun and on November 7, 1938, went to the German embassy and shot the first German diplomat he saw. When the man died two days later, Hitler and Goebbels made the shooting their pretext for the great state-sponsored wave of anti-Semitic terror known as Kristallnacht, still seen by many as an initiating event of the Holocaust. 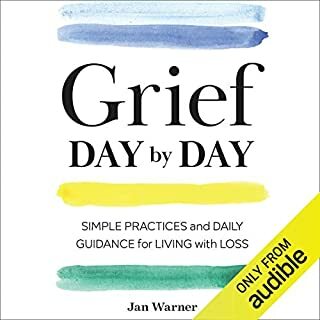 In Grief Day by Day, Jan Warner draws on her own extensive experience and the experiences of the 2 million followers on her Grief Speaks Out Facebook page to offer hope in its most practical form. 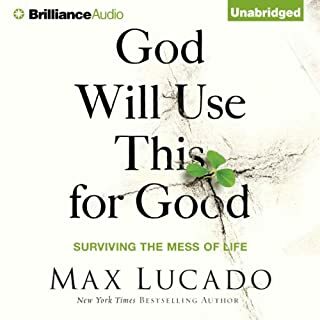 This audiobook does not look to offer a solution to grief. Rather, it provides supportive, useful guidance to help you create a life in which peace, and even gratitude, can coexist with your grief. 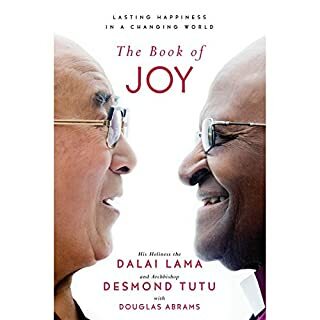 There is no “right way” to grieve, and there is no right way to use this book. It is sadly true that it is not always easy to fall asleep. This gently amusing, highly effective anthology of soporific dullness has been carefully curated to put listeners to sleep as quickly as possible. This giftable godsend for the under-rested features dozens of snoozy short texts, including "The Motion of Sand Dunes," "The Administrative Bureaucracy of the Byzantine Empire," "White Noise: A Technical Explanation," and many dozens more - though good luck listening very far on any one evening. 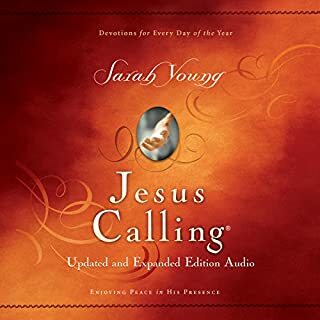 Based on her book, these four audio teachings offer real solutions to living a positive, joy-filled life, simply by committing to say only what God would say. Listen as Joyce shares biblical wisdom and principles to help you: Increase your peace, joy and the presence of God in your life; Undo the effects of negative situations from your past; Nurture positive relationships and guard yourself against "complainers"; Energize and uplift others while building a brighter future for yourself. Set yourself up for success! Stay in agreement with God. In the summer of 1944, a handpicked group of young GIs - including such future luminaries as Bill Blass, Ellsworth Kelly, Arthur Singer, Victor Dowd, Art Kane, and Jack Masey - landed in France to conduct a secret mission. Armed with truckloads of inflatable tanks, a massive collection of sound-effects records, and more than a few tricks up their sleeves, their job was to create a traveling road show of deception on the battlefields of Europe, with the German Army as their audience. Wisdom, inspiration and prayer: As recent scientific research shows, the simple act of praying can be emotionally, spiritually, and even physically healing. 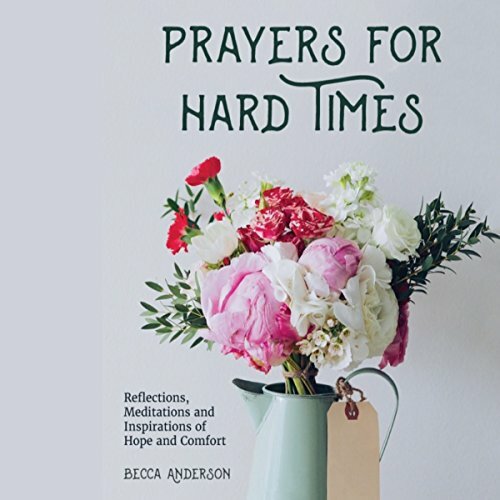 With Prayers for Hard Times, author Becca Anderson offers solace in bringing together the wisdom of great thinkers, spiritual leaders, and writers who have faced difficulty and learned from it. Consolation and renewal: Together, these wise words create a tapestry of consolation and renewal for those times when it all seems “too much.” In a world that feels increasingly fragile and, at times, fractured, people need answers and prayers. Becca Anderson’s collection focuses on prayers for a wide range of life challenges, from the personal to the global. Prayers for Hard Times covers issues facing individuals such as loss of loved ones, illness, anxiety, divorce, depression, and addiction, as well as those challenges communities face in natural disasters and violence. The writers in Anderson’s devotional address the world at large, as well, with words of hope and help for global poverty, hunger, war, and the environmental. 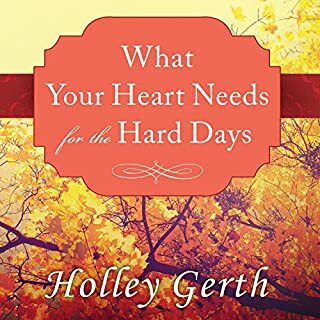 Prayers for Hard Times offers readers solace, comfort, and support, drawing from the wisdom of every era, every major faith and tradition, and the important voices of those who have lived through such experiences themselves. I have a greater appreciation of all the religions of the world through all the ages! Rinelle Harkin did a great job narrating!